One of my favourite things about Christmas time is taking all four of my kids to see Santa. Not because it is some magical moment where they can sit on the fat man’s lap. Not because it is a time for them to share pages of wishes with the jolly old elf. 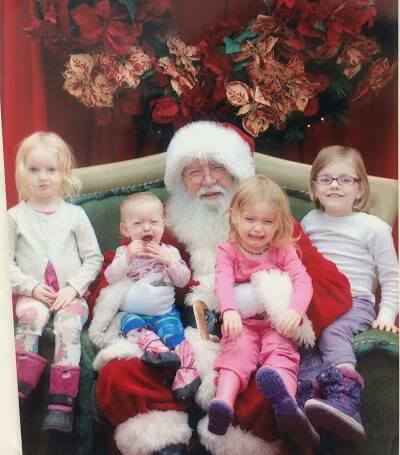 No, my reason is the simple fact that trying to get four little girls on Santa’s lap to take a photo always equals fantastic pictures. Christmas. The time of year where we buy ridiculous amounts of toys, gadgets, clothes, and random stocking stuffers. The time of year where we all loosen our pants after each family meal, or holiday party because we have once again over indulged. The magical time of year where it is all about us. And the star they had seen in the east guided them to Bethlehem. It went ahead of them and stopped over the place where the child was. 10 When they saw the star, they were filled with joy! 11 They entered the house and saw the child with his mother, Mary, and they bowed down and worshiped him. Then they opened their treasure chests and gave him gifts of gold, frankincense, and myrrh. Sometimes it is so easy to get caught up in the hoopla of Christmas. 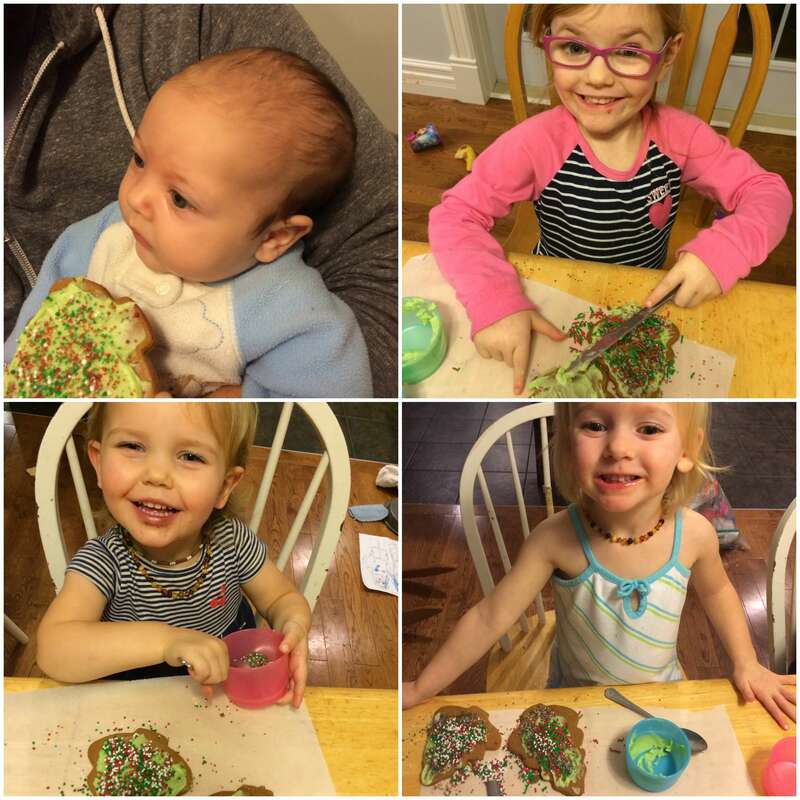 It is fun to give your kids gifts, and to go to parties where you can eat all the amazing goodies. But sometimes we get so caught up in a Christmas that is about us and ours that we forget the meaning behind Christmas. Jesus came to Earth as a helpless babe, to grow up into an amazing man who died on a cross for our sins. So this Christmas season let’s think outside the Christmas Tree by doing things for others. Here is a great starter list for ways you and your families can focus on others this Christmas season and share God’s love. * All links are for Canadian groups, but most of them have American counterparts. This is such a neat idea I have found floating around the internet. Instead of opening a little window for a waxy piece of chocolate each day, you fill a basket with food bank needs. Every day you put a new item in a basket and at the end of Advent you can take your new stockpile to your local food bank and donate it as a family. Here is a great list to get you started. How cool would it be to add a few animal figurines to your kids stockings, and each animal represented a gift to a community. You can buy different animals that help provide a livelihood and food for families that need it most. 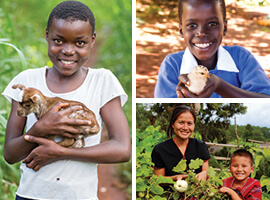 Check out World Hope, Compassion, and World Vision for animals to buy (along with other gifts that you can give). This is a great introduction for your kids into the world around them, the issue of poverty, and how we can help. Does your family like to do a family gift each year? Does it normally end up being a board game that gets dusty in the closet? Or a movie that gets watched and forgotten? How about you decide as a family to sponsor a child. This is a long lasting gift that can bring your family closer together as you write your child letters, draw them pictures, and pick out stickers to mail them. This is a gift that your family can grow together with. 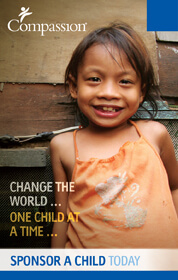 Check out Compassion (https://www.compassion.ca/) and sponsor a child today. Here in Halifax you have few different options like Souls Harbour, or Saint George’s Round Church. You may need to wait for your kids to be a bit older for this one, but it is a great chance to expose your kids to the fact that not everyone even in our own neighbourhoods have a roof over their head, or a hot meal at night. 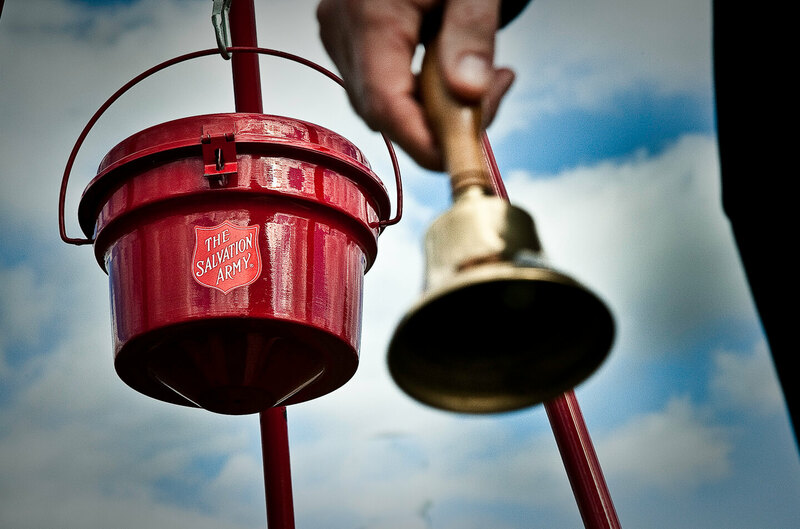 The Salvation Army uses the money raised via their Christmas Kettles to help local families to have a better Winter and Christmas. Sign up to Ring the Bell this season. You can do it alone, or bring your family with you. It would be great for kids to see the generosity of strangers, and for strangers to see kids taking time to raise money for those in need. Contact your local Salvation Army to find out how you can help. 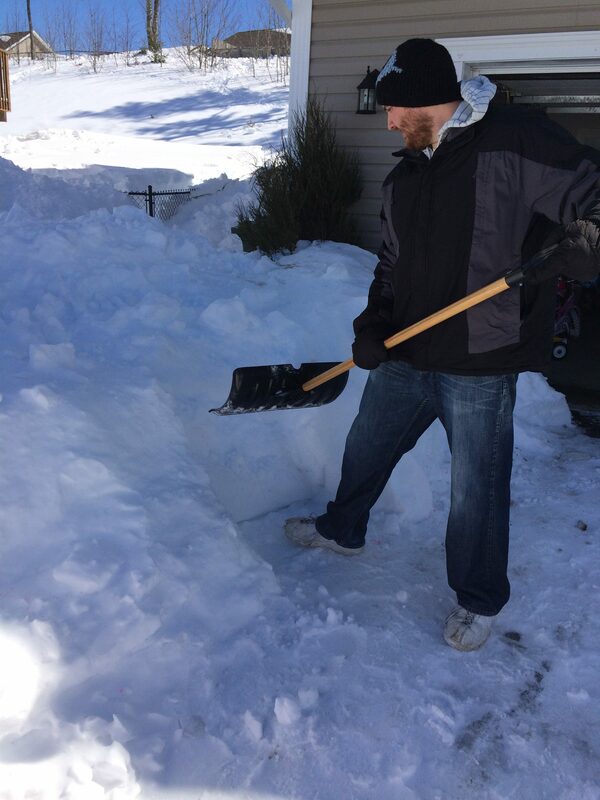 Decide as a family that the next snow fall you will find a driveway or two to shovel out. Maybe you have an elderly neighbour, or a single parent who lives near you. Shovel their driveway and leave them a card wishing them a Merry Christmas. I know we all have our favourite Christmas treat. For some it is Grandma’s shortbread, or Great Uncle Bill’s peanut butter balls. So take some time to whip up a few batches of treats, wrap them up and take them to a local emergency station (police, EMT, Fire). Many times these amazing people are apart from their families during the holidays and can always use some good cheer. Many malls around Christmas time have trees set up with tags all over the branches. Each tag represents a child or family with their needs. Taking a tag and going shopping for another child or family can be something you do as a family. It is a great way for your kids to see the joy in giving to others. Many times seniors are alone at Christmas. If their families have moved away they have no one to be with during the holidays. Spend an afternoon doing puzzles with these wonderful people. They always have great stories of life to tell. 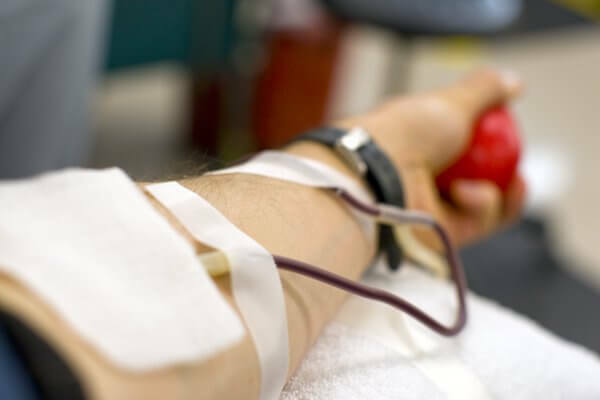 Find out where you can give blood during this season (and all year). This is a great way to help others. So get out this year with your family and make a difference. Share the love of Christ through your actions.